Trim the mushroom & remove the stalk. Chop the stalk & keep it aside. Heat butter in a pan, add mushroom & saute upto golden brown & keep it aside. Heat oil in a pan, add onion, peppers,chopped stalk,pepper powder,salt &allow to cook & keep it aside. 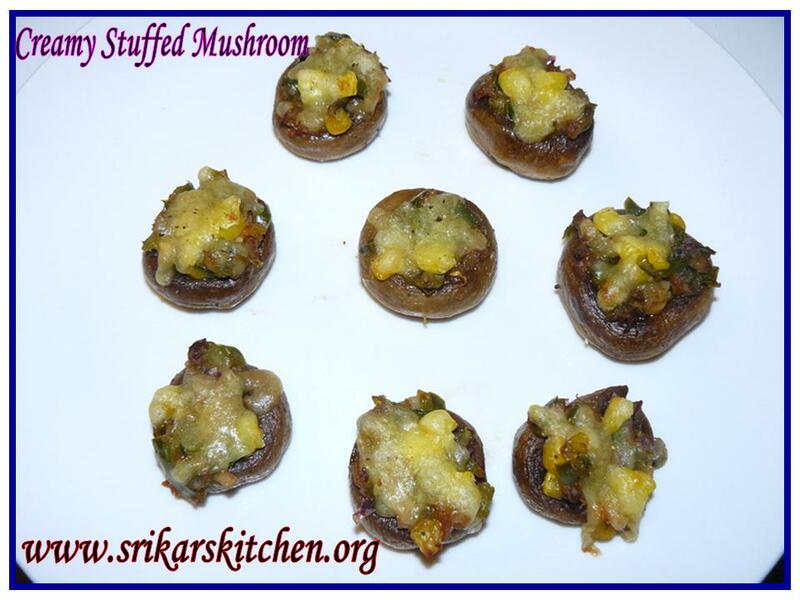 Arrange the mushroom in tray, stuff the vegetable masala & cheddar cheese. Roast in hot oven for around 15min until cheese melts. Thxs menaga for ur quick comment..
Wow nice recipe looks yummm. thats an healthy n delicious looking appetizer..yum! 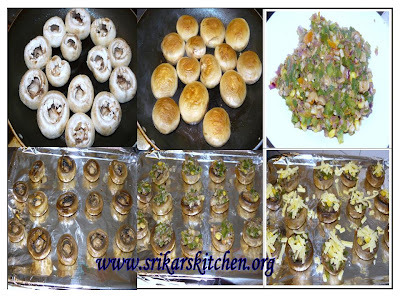 mushroom looks cute & yummy.. nice click.. mouth watering recipe.. Very cute snacks, great for parties like finger food. Yummy! Stuffed mushroom looks really great. thanks for visiting my blog. You have lot of nice recipes will follow you. 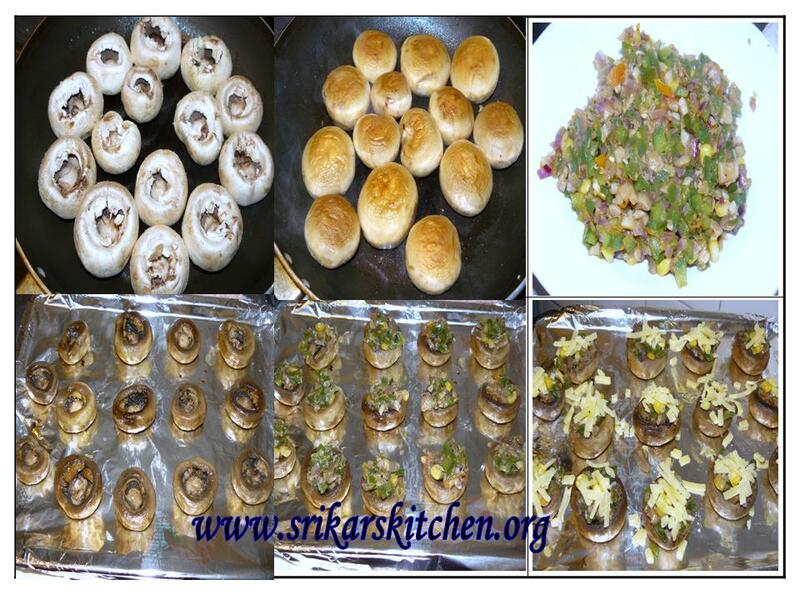 Lovely appetisers.Masal stuffed mushrooms look delectable. kids will surely enjoy this. Dear,,kutti kutti stuffed mushrooms paarkave azhaga irukunga,,,romba nalla starter easy avum irukku,,intha week frenz get-together irukku athukku intha recipe ah seiren..
Wat lovely appetizer. Looks so good. Nice recipe. YUM! yeah so rich and creamy! A very diffrent and fine innovative dish! Looks tempting!! Wow....they look cute and yummy. SO yummy!! simple and easy recipe..